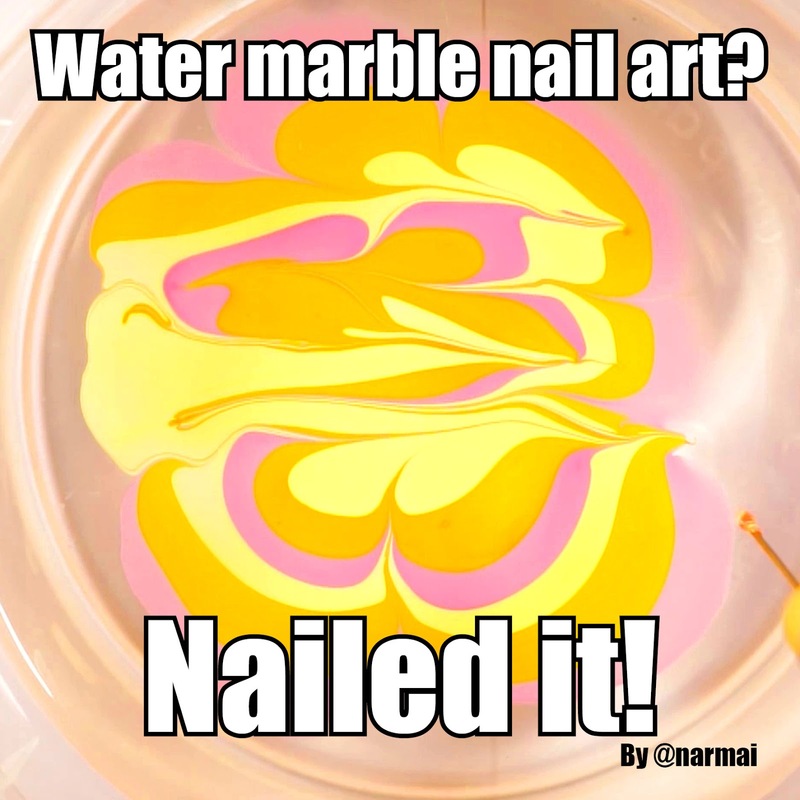 Yeaaahhh maybe I didn't nail it XD I made a funny video about my first experiences trying to do water marble nail art and the things that can go horribly wrong when trying to master this technique. Click to see more! I'm in a Facebook group called Hobby Polish Bloggers and we're all, like the name says, polish bloggers! It's a great group of ladies and we all share our tips about blogging, and we help eachother out. We came up with the idea to do monthly link-ups with a specific theme. We've done Halloween, fall favorites, Christmas and this time, since it's the first linkup of the year, the theme is 'New To You'! 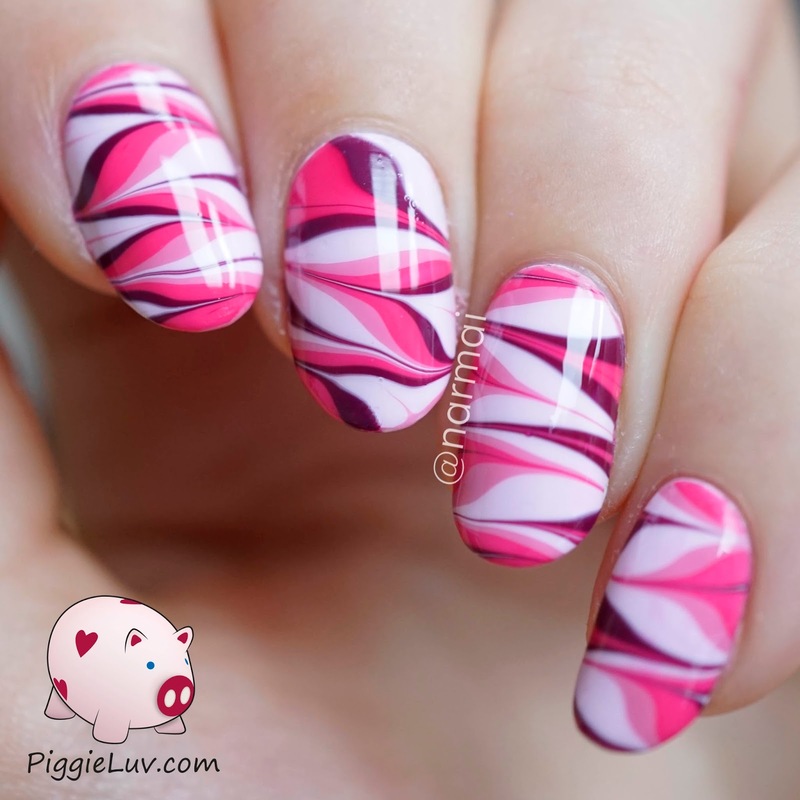 I've been around the block, I've done all kinds of crazy nail art but I've never really done a water marble mani. I tried once, but my nail polish would never spread in the water, making it impossible to make a design and get to the point where I could stick my finger in. I gave up after one afternoon, but for this theme, I thought it would be funny to record my first real attempts! Please excuse my accent, I'm Dutch so English isn't my first language. The final result is... not great, but pretty okay for a first time. I didn't have any bubbles, or weird spots, it's mostly the designs that didn't come out right. Watching tutorials and practicing more will help with that, I think. What made the most difference from my first failed attempt is the water I used. I've read a lot about what water to use but while most people use tap water, it doesn't work well for everyone. Different regions & countries have different standards for filtering water. What worked best for me was using boiled tap water. I tried using mineral water before but that just didn't work at all for me. After my debacle, I tried once more, getting that practice I mentioned earlier. It went so much better! I got cocky and put two fingers in at once, so the design on my middle finger turned out a bit crooked. I made sure to try out different polishes before settling on these because they worked well. I added more rings, can you tell? 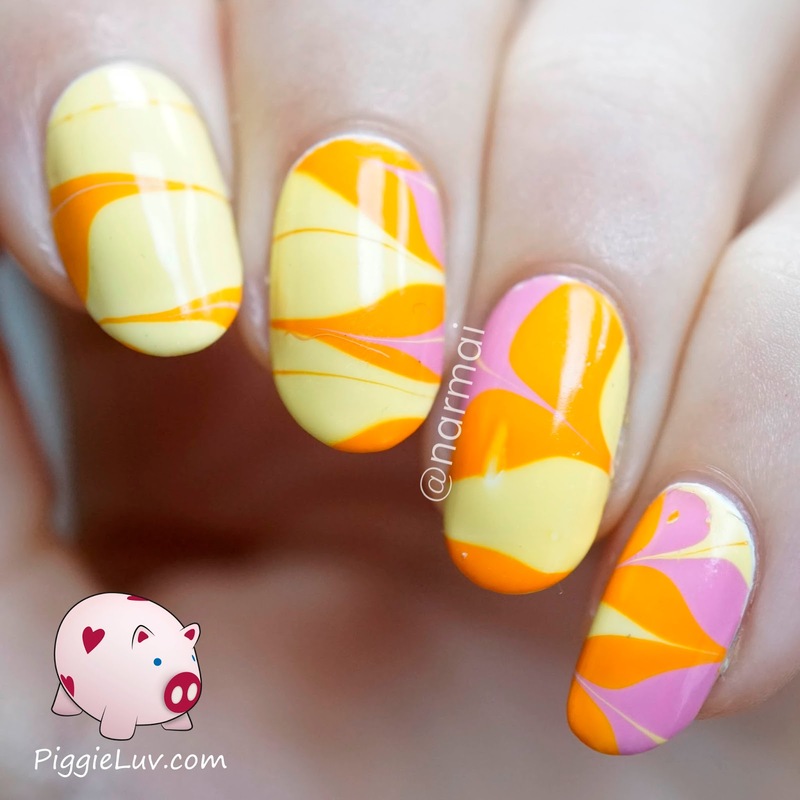 I'm not sure I'll be doing water marble nail art often. What I like about freehand nail art is the control, but I don't have much control over how a water marble design will turn out. It also uses a lot of polish and the polishes I picked for this design in the first place, turned out to not spread on the water. My biggest problem was that it didn't make a great base for adding freehand drawings. The light pink is too close to white and the darker color too close to black to make anything really stand out. Too bad!! !